If you are in crisis or think a friend is in crisis, click HERE for help. Most people have feelings of depression at times in their lives. Sometimes it's related to an event - a death in the family, challenges at school, a break-up with a boyfriend or girlfriend - leaving a person feeling lost, scared, sad, or helpless. This is all very normal. But, for some people, these feelings are daily, or nearly daily, emotions that are not linked to an event or situation - seemingly with no apparent reason - and can dramatically impact their ability to carry on their day-to-day lives. Depression is more than just having a bad day. The Depression and Anxiety Association of America defines depression as, "a condition in which a person feels discouraged, sad, hopeless, unmotivated, or disinterested in life in general. When these feelings last for a short period of time, it may be a case of 'the blues.' But when such feelings last for more than two weeks and when the feelings interfere with daily activities such as taking care of family, spending time with friends, or going to work or school, it's likely a major depressive episode. Major depression is a treatable illness that affects the way a person thinks, feels, behaves, and functions." 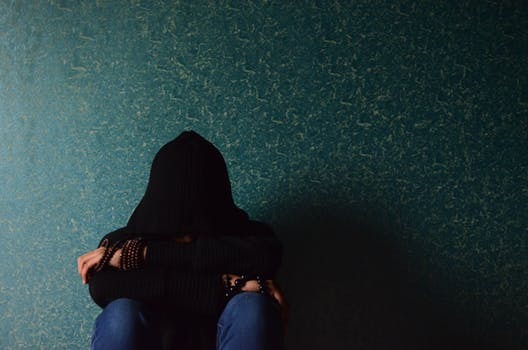 Depression is one of the most common mental disorders in the United States today, with an estimate 15-20% of teenagers having a depressive episode by the time they reach adulthood. Like many other illnesses, it often runs in families and can be brought on by genetics, stress, trauma, life circumstances, changes in neurochemical levels in the brain, and the use of drugs and alcohol. These possible causes include a combination of psychological, biological, and social sources of distress. Unlike just "being down" or "having the blues", the symptoms of depression continue for at least two weeks and can last months if left untreated. The good news is that there is support, treatment, and strategies that can treat depression. Talk therapy with a qualified mental health professional, changes in lifestyle, and sometimes medication prescribed by a doctor are very effective in treating depression. If you think that you are depressed, reach out and tell someone - your mom or dad, your grandma or uncle, a coach, the counselor or a trusted teacher at school, your best friend's mom or dad. Just tell someone. There is no difference between asking for help with depression and asking for help with any other ailment like a pain in your leg or a sore throat. For tips with how to ask for help, visit Erika's Lighthouse for lots of great information and resources. If you think that a friend is suffering from depression, check out "11 DO's and DON'Ts of How to Help a Friend with Depression". If you want to help stomp out the stigma around depression and mental illness, visit Erika's Lighthouse to learn more or check out the Erika's Lighthouse Chapter at BHS. Watch this helpful video of real teens explaining depression and what you can do. 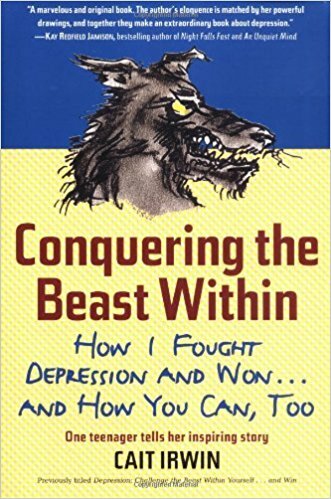 For anyone in the clutches of the frightening beast that is depression, this book can help. In vivid words and images, Cait Irwin shares her own compelling story: how she struggled with clinical depression at age fourteen, was hospitalized, sought therapy, found the right medication, and successfully made the long, arduous climb back to good health. This powerful volume shares an inspirational message with all who are waging their own battles with depression: There is a way out. 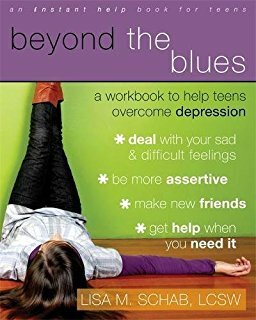 A survival guide for depressed teens, this book is written with personal stories from teens struggling with mental health issues. Topics include identifying depression, the connection between the illness, suicide, alcohol and drug abuse, getting the appropriate help, coping strategies, staying well and the truth behind the stigma. 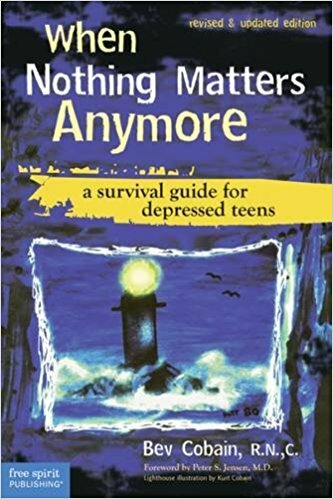 Full of solid information and straight talk, When Nothing Matters Anymore defines and explains adolescent depression, reveals how common it is, describes the symptoms, and spreads the good news that depression is treatable. Personal stories, photos, and poetry from teens dealing with depression speak directly to readers' feelings, concerns, and experiences. This is a practical guide, written by parents for parents, with information and ideas on what to do if a child is suffering from depression. Many parents don't know the signs of depression or where to turn for help. 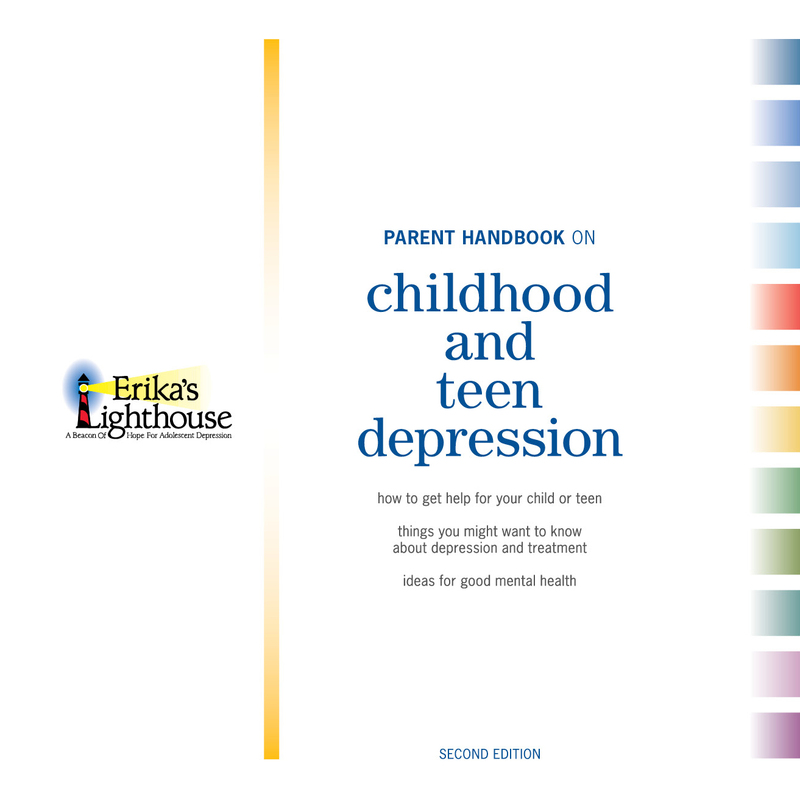 Understanding what's going on with a child, finding the right treatment, dealing with the schools, negotiating insurance issues – challenges that parents face when their child is suffering from depression, dealt with in a frank and understanding way, in an easy-to-read format. To download a free copy, click here. 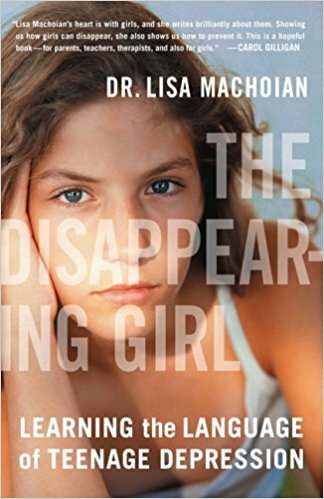 Dr. Machoian also offers conversation topics to help girls navigate mixed messages, develop their identity, make healthy decisions, and build resilience that will empower them throughout life, as well as helping parents manage their own frustration.